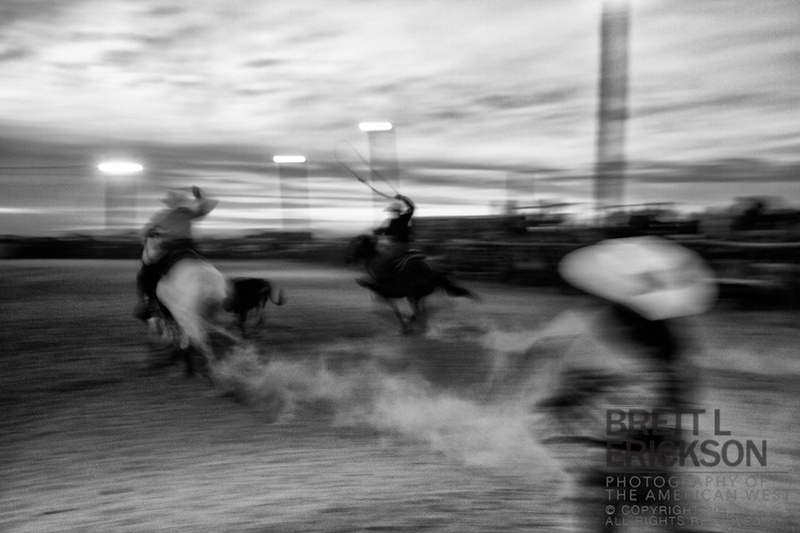 There are lots of photographs of rodeos and roping, but few that show the speed and dust of the high summer circus in the American West. I’d like to think that this is one of those images. 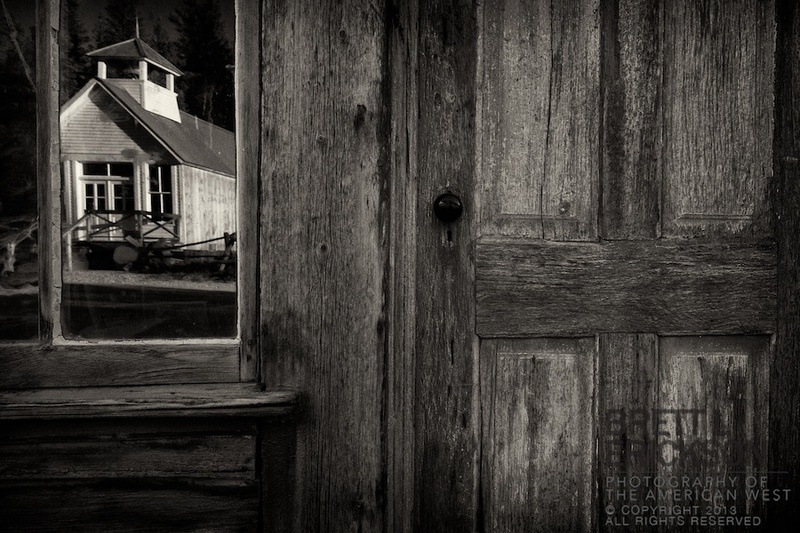 I like subtle images that require contemplation, and this is one. Modernity mixed with tradition, iconography with rural loss and rite of passage. 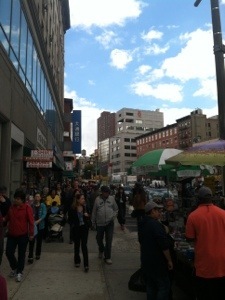 Look closely and think; take time to ponder the notion of objects within this context. Cryptic, right? Images are good puzzles, and it’s why I’m a photographer. 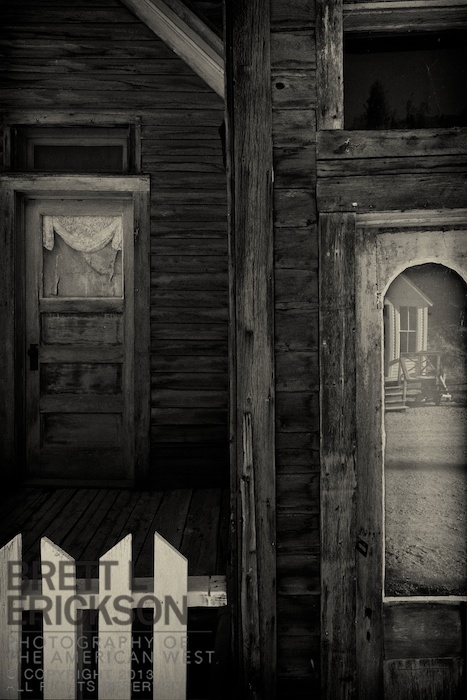 The iconography of the ghost town is worth exploration; textures, objects, and reflections each take on new meaning in such circumstances. Renewal? Loss? Decay? Each has element in these places has the potential for making us consider the greater issues surrounding humankind’s relationship with nature, with time, with itself. This image is just such a treatise. 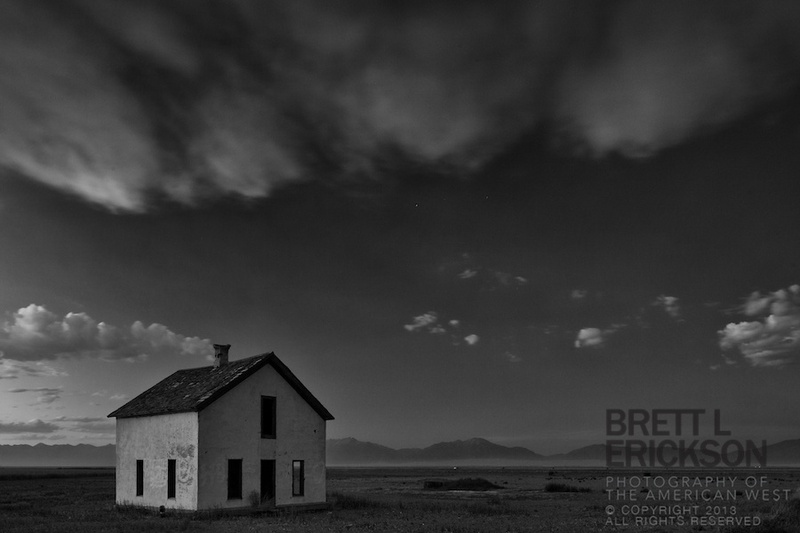 I came upon this homestead as evening moved into night, the clouds of a passing storm moving off to the east. The loneliness of the stark-white walls against the deepening dark, the distant peaks, and the dry desert left the thoughts of humankind’s relationship with the dry places of the world on my mind for many miles. The Stark Bros. Store has a long history in St. Elmo, and one of both prosperity, tenacity, and ultimate demise. As the town died out in the 1930s, Annabelle and her brother, Tony Stark (no, not Iron Man Tony Stark) eventually were the only residents of the near-ghost town. After she died in 1960, local legend says Annabelle returned to haunt the store and hotel in which she eked out a meager existence for so many years. Either way, the iconography and composition of the hotel–regardless of what Anna may think–make a compelling photograph. Fires were vicious this summer in southern Colorado, and when that happens, many photographers go to the fire. 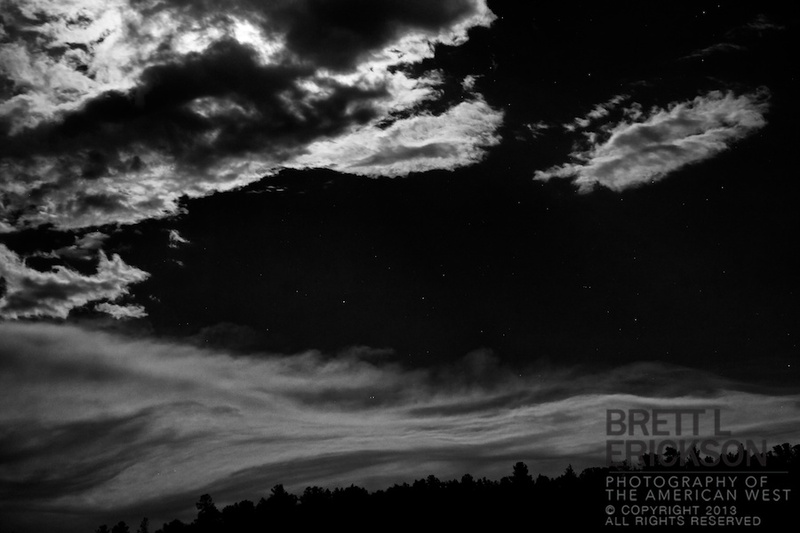 I waited until a full moon rose and clouds passed by our cabin late one night, and in the deep dark light of the midnight sun, the smoke from the Three Forks fire made eerie waves as it moved in southwesterly wind. 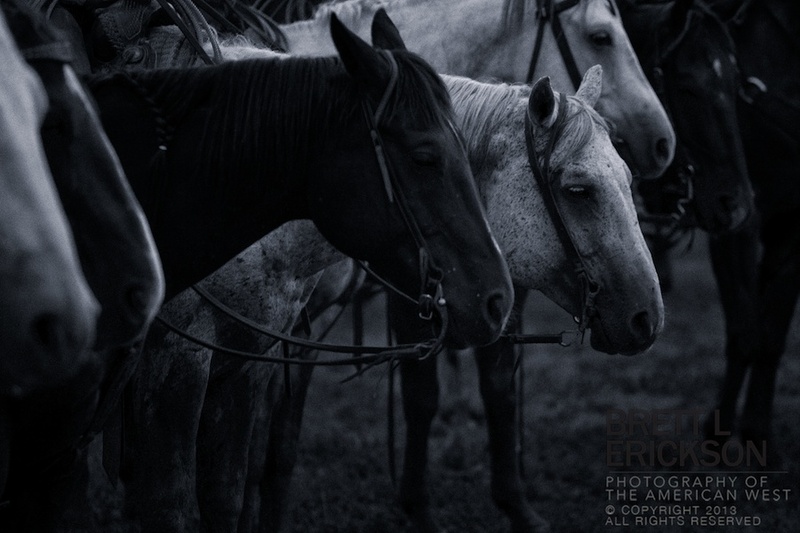 In the wake of a chilling summer storm, and with the prospect of a muddy evening of ranch rodeo in front of them, teams lined up for their rules briefing at Crawford, Nebraska. Yet, the ranch horse is a smart horse, and these appeared to be as intent on listening as the riders. 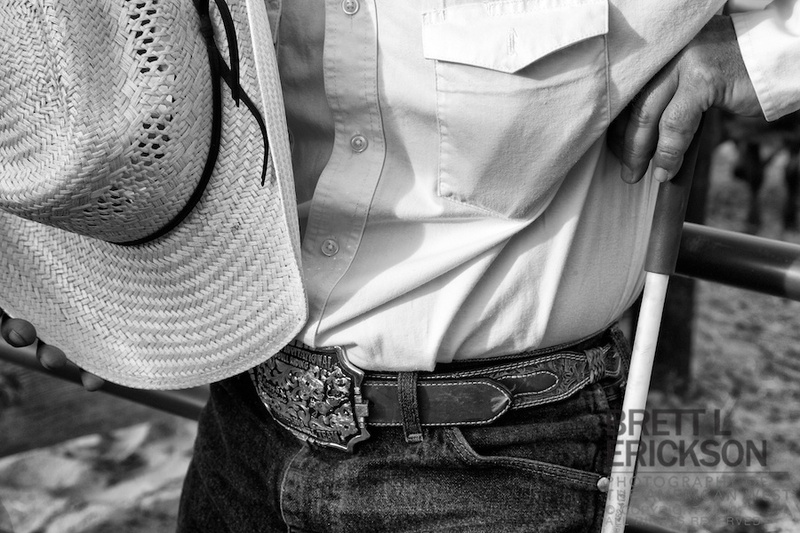 In today’s small-town rodeos, the traditional rodeo clown has all but disappeared. 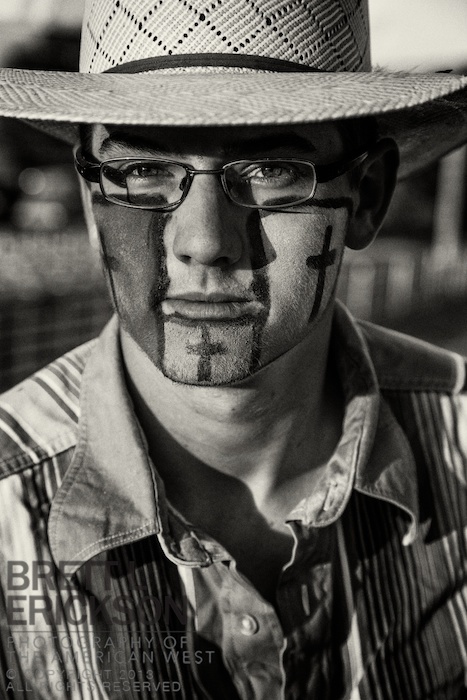 This young man was a remnant of that past, with his costume and painted face evoking memories of rodeos long ago, and I made several images of him during the evening, but the portrait continues to draw me back. I’ve said it before, I’ll say it again: Bad weather makes good pictures. It’s a lesson taught to me by one of the greats at National Geographic, Sam Abell, and Sam’s not often wrong. 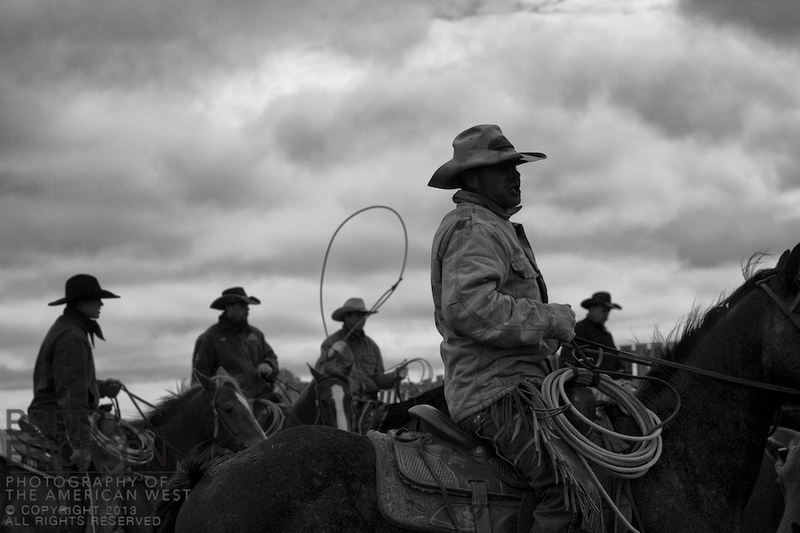 So on a cold and windy early June morning, the clouds in the background and the collars turned against the cold added up to an iconic image of real cowboys really cowboying in one of the great ranching landscapes in the American West.